Valve have revealed the 12 lucky teams to not have to fight for a place at the next $3million Dota 2 Major in Manila, Philippines. Need a new main? Here are thebest Dota 2 heroesnow that Icefrog’s had his way with the game. Among the 12, which includes perennial invites Evil Geniuses and Team Secret, alongside veteran teams hanging in there at the top like Alliance and Na’Vi, there are also teams who have impressed in recent months. One such team, Chinese squad Wings, has earned their invite after winning ESL One Manila despite only coming through the qualifier route to that tournament. 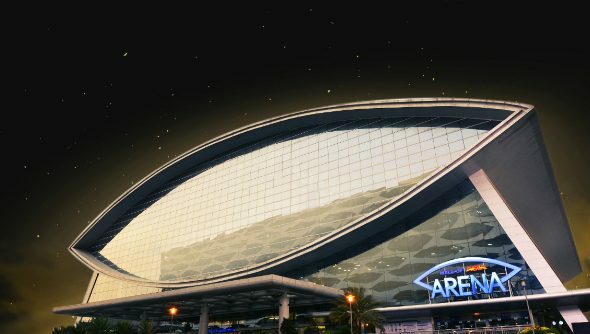 Yes, that is another tournament in Manila, but try not to be confused eSports fans, ESL One finished last week and the Manila Major begins June 7. Though they are both in the exact same venue, the Mall of Asia Arena. Must be awkward, like the eSports organiser’s equivalent of wearing the same fitted snapback to a party as someone else. Other invites include Frankfurt Major champions OG, Korean team MVP, Vici Gaming Reborn and LGD from China, CompLexity and Team Liquid from the US and Fnatic from South-East Asia. That leaves four remaining slots to round out the 16 for a group stage and knockout tournament bracket. Each will be awarded to the winner of their respective qualifier tournaments to begin on May 3 in the Americas, China, Europe (including CIS) and South-East Asia. In each of these four qualifiers, eight slots are full of teams not quite good enough for the Major invites, but there are two slots awaiting teams to come through from the open qualifiers anyone can enter. Will you be the Cinderella story for Manila?